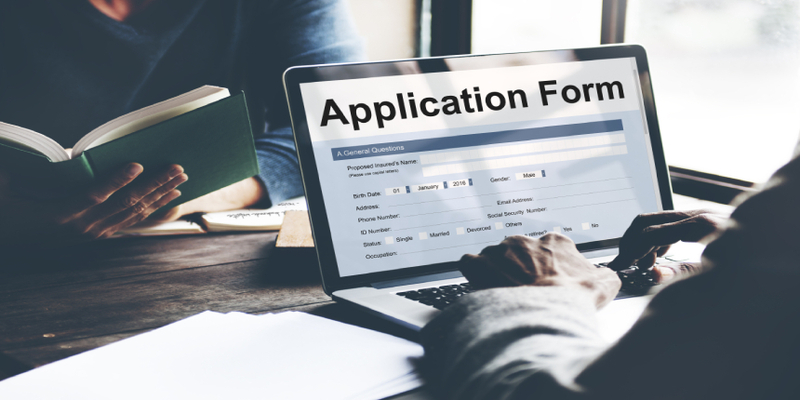 DU Application Form 2019 - The University of Delhi will release the DU 2019 application form in online mode on May 1, 2019. Candidates applying for the B.A, B.Com and B.Sc programmes offered by the University of Delhi must submit the filled DU Admission Form 2019 before the last date. To fill the application form, candidates need to first complete the registration process on the Delhi University admission portal. After the registration is completed, candidates can log in using the login credentials and fill the DU 2019 application form. Candidates need to enter their personal, academic and contact details in the application form of DU 2019. The DU application fee 2019 has to be submitted in the online mode only through the different payment modes available. The marks of the qualifying examination to be entered in DU application form 2019 must be calculated using the ‘Best of Four’ system. The merit list will be prepared by the affiliated colleges based on the 'Best of Four' marks of the qualifying examination. Read more for the detailed step by step process to fill the DU 2019 Admission Form. Increase in the registration fee for candidates who will be registering for DU Admission 2019. Candidates belonging to General/OBC category will have to pay Rs. 200, instead of Rs. 150. Candidates of SC/ST category to pay Rs. 150. Correction Window for DU 2019 Application Form to be introduced by the university, charging Rs. 100 for every change being made. Increase in Cancellation Fee by 100% to Rs. 1000. The DU application form release date for admission in undergraduate programmes is May 1, 2019. The last date of filling DU 2019 application form will be notified soon by the university. Candidates applying for both the Merit and Entrance based programmes need to fill only a single Delhi University application form 2019. Candidates belonging to the CBSE board need to enter the roll number of their qualifying class 12 examination in DU application form 2019 and their 'Best of four marks' will be calculated automatically. Candidates who apply under the sports ECA quota need to upload three certificates while filling the Delhi University application form 2019. The entrance based programmes are not available for candidates who wish to apply through the Sports/ECA,DU Ward Quota and the Kashmiri Migrant category. Enter email ID and mobile number. 5. Select a security question and its answer to help you revive the registered account if forgotten. 6. Create a password with a minimum of eight characters. 8. A confirmation notification will be received by the candidates. 9. Click on the ‘Continue to homepage’ tab to continue with Delhi University 2019 application form. The candidates will be needed to fill the following details in the DU 2019 application form. Here candidates can select the programmes they wish to apply for. In case candidates want to check the eligibility of the programme they can click on ‘i’. Candidates can select any number of programmes. If the candidate applying is a female they will be considered under the NCWEB category. If a programme that a candidate wishes to apply for is entrance based he/she can select the programme under this section. Candidate can select as many programmes as possible. Select 'yes' if applying under the ECA/Sports category. Sports candidates will choose the game/sport in which they have excelled and provide all the details and certificates asked for. ECA candidates also need to choose the event in which they have excelled. Self-attested copy of the valid OBC/SC/ST/PWD/KM/CW certificates, if applicable. Self-attested copy of the Sports/ECA certificates, if applicable. Scanned Image of the signature. Candidates after filling the application form can make the payment of DU application fee 2019 in online mode. The DU application form fees vary depending upon the category of the candidates. The application fee of DU 2019 is non-refundable. Delhi University conducts Bachelors of Science programmes in various affiliated colleges of the university. There will be only a single application form which is to be filled by all the candidates. The DU 2019 B.Sc application form will be released on May 1, 2019. Candidates need to fill the application form keeping in mind 'Best of Four' calculation of Delhi University. Applicants are advised to check the eligibility criteria before filling all the details in the application form. Candidates applying for B.Sc programmes must have completed their senior secondary examination with 55% marks in aggregate. Candidates applying for the B.A programmes of the university need to fill the DU 2019 B.A application form which will be available in the official website of university from May 1, 2019. Before, filling the application form, candidates need to check the eligibility criteria to know the minimum academic qualification required for pursuing various B.A programmes conducted by the university. The DU 2019 application form date for admission in B.A programmes is May 1, 2019. Candidates who are willing to fill the application form for B.Com programmes must check eligibility criteria before filling all the details. For B.Com Hons. programmes, candidates must have completed his/ her senior secondary examination with Mathematics or Business Mathematics as one of the subjects. Q: Is the DU Admission Form 2019 available offline? Ans: No, the DU 2019 Admission Form will be available online only. Q: Is there a provision to submit DU application form 2019 with a late fee? Ans: No, once the window for the application form of DU 2019 is closed candidates will not be able to apply. Q: Should separate application forms be filled for different programmes? Ans: Candidates can fill as many programmes as they wish in a single DU application form 2019 itself. Q: Should the printed copy of Delhi University application form be sent via post? Ans: No, once DU application form 2019 has been submitted online there is no need to send the printed copy to the university. Q: Will there be an increase in DU 2019 application fee? Ans: The university is most likely going to increase the registration fee for the candidates this year. The candidates belonging to General/OBC categories will have to pay Rs. 250, instead of paying Rs. 150. Candidates belonging to SC/ST will have to pay Rs. 150. Q: Will the university allow any corrections to be made in the DU application form 2019? Ans: Yes, the university will allow the candidates to edit and will be introducing a correction window for the application form of DU 2019, in a first. However, the candidates will have to pay Rs. 100 for every change being made. Q: What is the mode of the payment of the application form of DU 2019? Ans: The university will provide a secure gateway to the candidates while remitting the application fee online via Debit card/Credit card/Net banking.